I am 36 years old. A Licensed Clinical Social Worker. An advocate. A friend who loves laughter. A writer. A traveler. An animal lover. A sister. A daughter. A fierce woman. An Educator. I am also a patient with chronic excruciating pain. I live with a progressive neurological disease called Complex Regional Pain Syndrome, CRPS (aka: RSD: Regional Sympathetic Dystrophy). CRPS is a medical mystery and has been since the US Civil War. No one understands why it develops or the best way to treat it. I live on the edge of pain and am constantly fearing for my quality of life. Unable to trust those around me who are the medical experts because there are no experts in CRPS. Only students. The medical world that I am required to access often times has a wall of egos, that create a barrier for patients like me. People who are bad patients. You see, I am the patient that no provider and certainly not a big time specialist, has any patience or time for. At first glance into my thick medical file, my case looks appealing. An intriguing medical mystery but that quickly fades as the grand ideas and previous notions of the illness do not fit my case. I have watched this happen over and over again. Excitedly working with a team who starts off passionate to find a cure for this God awful disease. Then just like clock work, the room starts thinning out as things do not work as expected and I begin to over stay my welcome. Phone calls start to go unanswered and emails deleted. Over the last five years I have been playing Russian Roulette each time I visit a new specialist, try a new procedure or go under the knife. My body has become a big experiment and my CRPS has been as far away from classical symptoms as it could possibly be. One day a routine trip to the dentist doesn’t bother me. The next day, dental procedures have to be done under anesthesia and accompanied by a week in the hospital, ketamine infusions and months of not being able to chew whole foods. Like I have said before, My body is a maniac. My case cannot be compared to others. No CRPS patient looks the same. It does not react the same and what are perceived as rules and “best practice” treatments are sometimes harmful for patients of this ailment.But the medical world cannot see this over the brim of their ego. Instead they see an impossible patient. A patient who is likely “lying” because they cannot match these symptoms into an ICD-10 code. A patient who is needy. A patient who “googles” medical treatment. I have gone from a professional medical advocate, mental health therapist, consulted on tough medical cases, to a patient that no one wants to deal with. Recently I was faced with the most difficult dilemma thus far in my life. A choice between health and being treated as a human being. As I sat on the outskirts of a much needed treatment; I could see the reality of the situation and violation of my patient rights. I realized that I was no longer seen as an educated, well spoken professional. My carefully constructed words were turned against me and actions that were taken to expand the knowledge of the CRPS etiology were now seen as problematic. A liability. A bad patient. But how could that be true? How could I be categorized as a nuisance? And why was I being lied to and kept from a treatment that was close to putting me in remission? A fury of both anger and disappointment flooded over me. How was it possible that in this medical society, where we are bound by a set of ethical laws and sworn to do no harm, can a patient be abandoned? Especially a person who is suffering from the most painful disease in the world, just tossed to the curb? Written off under a false pretense. I never thought that this would be my life. That this would be my fight. For the last two years I have tried to place positive meaning in becoming sick. Maybe this community needed a person like me? Maybe CRPS needed a feisty redhead who had a background in social work? Maybe I could help. Even if it was just a little. Just one person. All the pain could be worth it. I was trying to use my career as a platform of respect from the medical world. I held onto social work advocacy to help find better treatments in my world of soul-wrenching pain. Sadly this past week I retreated. The loud, proud, social equality, Office of Civil Rights advocate, therapist and feisty redhead felt defeated by four simple words. “My hands are tied.” A medical professional, indicated that the treatment I needed to access, was being withheld under another pretense. As I read those words my eyes filled with tears. I could read between the lines. I knew I was blacklisted. Pushed to the side because I was a bad patient. In that moment I felt deserted. Left by those who were suppose to fix me, help me, heal me. I had no fight left. No advocating with legal support, no simple email to the Patient Advocate or medical study findings that would support my case. I didn’t even have the strength to beg. I was emotionally and physically drained. I was scared. I did not want the retaliation of my actions to cost me a life that I was trying so hard to build. I looked injustice in the eyes and I gave up. I walked away. My passion was lost. My heart was broken along with my body. Why is it that in this world, we feel like we have to choose between being handled in a fair, ethical manner and the treatment that we desperately need. Is being silent the price that we must pay for obtaining the medications that enable us to function? How is this any different than other inequalities in the world that are based in race, gender and sexual orientation? Just as one does not choose the race that they are born into, chronic illness and pain cannot be avoided and is often a permanent fixture in a person’s life. Yet those of us who have become chronically ill are being treated like criminals. Punished for advocating. Banned for having an opinion. Castaway for threatening egos. As our conditions are diagnosed we lose our identity and turn into billing codes, no longer seen as real people . We are given a fifteen minute time slot once every month to discuss the illness that is threatening our livelihood. Those 15 minute time slots are crucial to our existence. Our treatment plan that will impact every day of our lives is made in less time than it takes to cook a frozen pizza. We take those 15 minutes and we turn them into 20. We bring our notebook with questions, a copy of the most recent medical trials in our community and our own ideas about treatment. And we are shunned. We are the bad patients. The patient who may spend the majority of their life in excruciating pain; isolated from loved ones is no longer viewed a person, they are viewed as a problem. So here I am. I am a bad patient. I am a bad patient because I can tell you more about CRPS than any of my doctors. I can narrate a pain flare & articulate the intimate details of a disease than doesn’t have more than a paragraph of information sitting in medical textbooks. When something invades your life you will spend every chance at reading, learning and strategizing. Suddenly the willingness and motivation to learn is met with eye rolls and “don’t believe everything you see on TV” (a real statement made by a resident that I was speaking to about a medical trial). I am a bad patient because I question my treatment plan based on my observations of triggers and reactions to this disease. I call the insurance company on a monthly basis and share my story as many times as I need. I am a bad patient because if I stop doing any of these things, I will lose. I will lose my mobility, my career, my quality of life. I will lose and CRPS will win. The flames of the disease will grow at a increasing rate and I will feel like I am burning alive every single day. I will be unable to exist peacefully in this world with my family and loved ones. When I stop being an advocate for myself, there will be no one to pick up the pieces. There will be no one who can speak for me or make sure I am getting the best treatment. I am terrified that the medical world will turn their back on me. I refuse to be silenced. I must advocate for every single step that I take because I know this can vanish in the blink of an eye. I will continue to fight for a treatment that has given me significant quality of life and mobility. Anyone would fight for that. It is scary, even writing and publishing this post. I am now sharing my most personal experiences and bringing light to an issue that our society is sweeping under the rug. I am sharing this because I don’t want to feel threatened anymore. I don’t want to have to pick between being treated as a human being and getting the treatment that I need. I want both. I deserve both. You deserve both. It is my hope the all patients of CRPS and other debilitating illnesses can one day know that our words won’t be used against us. That they will be treated with compassion and empathy and not as criminals. That we are seen as people. Real people with real feelings, real pain and real lives. Lives that matter. If you are feeling that you have been treated in an unfair and unethical manner, you may contact the patient advocate or social worker within the medical facility. Your rights as a patient are important and protected by federal laws in many cases. An advocate will work on issue when you are too tired, too sick or intimidated by the process. These individuals are hired solely for this process and work in accordance with the law within the United States and your home state. I’m not I’m normal 😉 haha! But whatever we are, we aren’t alone. Thanks for the love Kris! I am so sorry for your stuggled with CRPD and understand. I also have CRPS and have tried so hard to self advocate only to be treated exactly how you have explained. I currently have no medical team and my primary care Dr. seems to have no time for me. I will not give up though and I am so happy to see a story such as this posted, the more voices heard will hopefully give more CRPS fighters strenth to keep pushing thru! Thank you so much for publishing that article. It gives me strenth. What a powerful post, and I’ll be honest in admitted it made me rather teary half way through! It’s such a hard issue and condition to navigate, which is often the case with invisible illnesses and those that aren’t really understood; we know our bodies better than anyone else, we often go looking for answers and thus are more knowledgable than those managing our care, and we are aware of how diverse human nature is whereby no patient experience is the same as the next. It’s distressing, heartbreaking and infuriating to feel abandoned, judged, looked at as though you’re a hypochondriac, made to feel as though it’s in your head. I know I can’t say anything to really make your situation any better, but I just want you to know that you’re not alone in your fight and that those around you who love you, and your readers here, will always be in your corner. It’s ok not not be ok sometimes, don’t be too hard on yourself. Sending a hug. What a lovely post, I feel all of this. You aren’t a bad patient, but rather an informed one. When egos get in the way sometimes knowing the treatment you need and deserve can hinder relationships as you fight for quality health care. Most doctors don’t understand the desperation of finding a diagnosis or helpful treatment. Many of us do hours of research trying to help ourselves when it seems that no one else can. I hope you’re able to find the right doctor, who will stick by you! Thank you Alyssa. I agree- you are the expert in what you feel. I have some great doctors that will get a kudos post soon 🙂 it’s nice to know when people are in your corner. 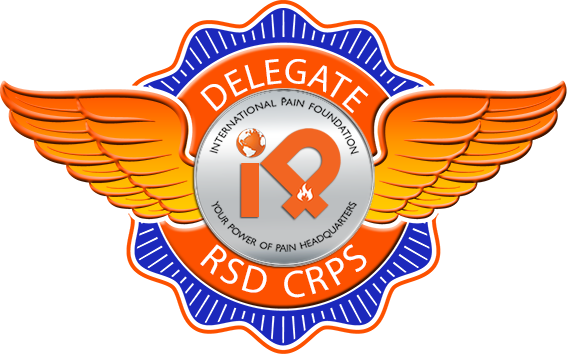 Great post Kelly, so right on…early on in my journey with CRPS I was passed around to everyone. Finally it seemed I found a decent pain specialist…After seeing him for about a year, I come in for my appt. and he tells me he’s moving to Tennessee…No warning, no nothing…To this day I feel that was my responsibility, because who up and moves to Tennessee! I would be so heartbroken if my good doctor moved! I see him and his wife (she is my primary). I would be lost without them. I’m sorry you lost a good one! This is so spot on. I’m a bad patient. I will not be told to go away because my illness is ‘inconvenient’ and more expensive than the cheaper diagnosis of malingering. Right!! Good for you for standing up for yourself! It really is a tough world. It’s a tougher world than it has to be. I hope that all survivors will dedicate themselves to making life a little easier for those who comes after us. I refuse to take medication that will harm me and is unneeded in my opinion. The medical field labeled me noncompliant with my medicine as if I were an abuser of prescriptions . I have fibromyalgia diagnosed by a doctor and multiple chemical sensitivity diagnosed by me. Seems most of my fibromyalgia issues are caused by chemicals namely fragrance and scented products .. I am not taken seriously by any of the medical field but by avoiding triggers and going the holistic approach I am ninety percent better than five years ago. Stick to what you believe in and find holistic replacements for meds you can not obtain. Agreed! I just listened to a podcast on fragrance. It was on Mysterious Universe, sometime in February. They interviewed an author and were talking about the harmful carcinogenic ingredients in lotions, detergent, soap, etc. I am slowly replacing all of that with natural.I am so glad you are 90% better! Thank you for this. I’m so sorry that you are having to battle for care like this, and I appreciate your honesty about how this fight takes its toll. I have been having a “bad patient day. 😉 All the feels, right here, and badly needed reminders about not giving up and patient advocacy. Thanks for writing! Thank you ❤ it is a lifeline for me somedays too. Thanks for ready! WOW, I am blown away! I have Fibromyalgia and arthritis and other degenerative problems and also live with constant pain. I am a RN and have dealt with similar experiences that you described. You have expressed exactly what I have felt. My knowledge and experience as a nurse seem to be a problem rather than an asset! Providers don’t want to hear me but some do seem to want to help at first but quickly become difficult to see or get responses from. I try not to call or ask for much but it is harder and harder to be heard. Your story gives me comfort that I am not alone in this fight for life! Thank you and best wishes! I have CRPS as well, thank you for sharing your story, I can relate to many aspects of it for sure. I could feel every part of your post. I am a dentist and a CRPS fighter since last 3 years. Your profession is of no use when it comes to this decision and yes the game every new team plays. I feel blessed to come around your post. Keep writing. I feel like we could be twins! I am also a well educated, self-advocating, chronic pain patient who after losing owing my career as a PTA to chronic pain I decided I wanted to become a social worker/clinical patient advocate. I wanted to message you because I’ve decided that with the atmosphere of fear that our government is causing it is absolutely my responsibility to speak up for myself and for those patients unable to speak up. I’ve started getting involved in advocacy groups on Facebook trying to fight back, I’ve started to again work on my pain blog. And am finally applying to get into an msw program. However I know in my heart the things I’m doing isn’t enough to start the social change needed. Are their any groups or projects you are personally involved with that I could become a part of?